- We will meet at Heathcote Maccas at 8am with the aim of leaving at 9am. - At the end of Nasho we jump back on the freeway and turn off at illawarra highway for mac pass. 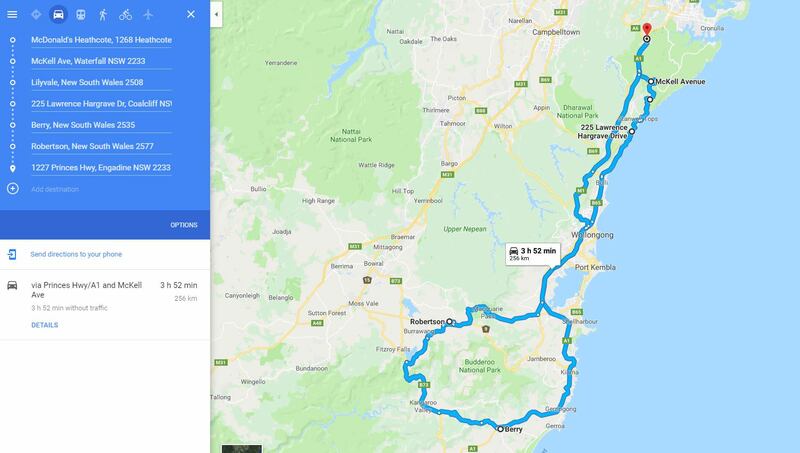 - We will stop for a leg-stretch at robertson pie shop for a few minutes, and then continue on our way down to kangaroo valley where we will hopefully get there sometime between 11 and 12 for lunch. - From there the cruise ends and you’re welcome to take your preferred route home! Last edited by trdee; Today at 07:25 PM.